White House Denies Hersh Allegations: But what do the United Nations, Massachusetts Institute of Technology, and Tesla Labs Inc. say about Syria Chemical Weapons? 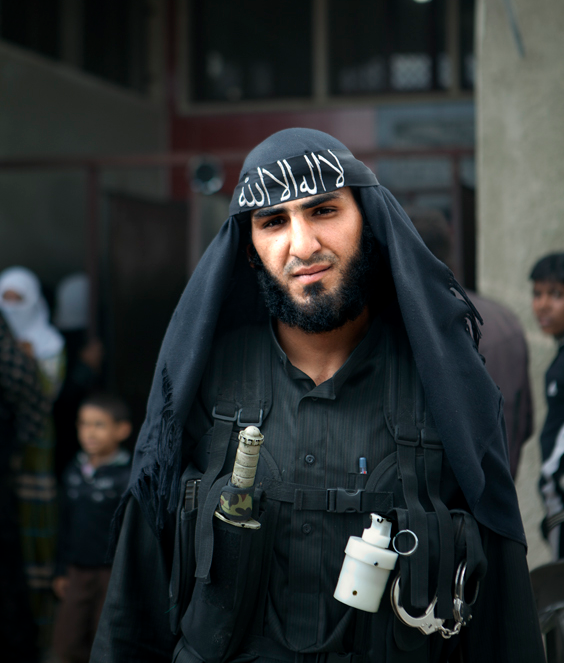 A widely circulated image of an Al-Nusra fighter in N. Syria with a professional CW riot grenade. The final United Nations report on chemical weapons usage in Syria was published December 12, 2013. Anyone in the world, with internet access, can read the UN report; it contains some damning information related to rebel possession and use of chemical weapons. “The United Nations Mission remains deeply concerned that chemical weapons were used in the ongoing conflict between the parties in the Syrian Arabic Republic, which has added yet another dimension to the continued suffering of the Syrian people,” [emphasis mine, and for all bolded below]. The report states that chemical weapons were “probably used” at five sites in Syria during the two-and-a-half year long conflict. Most significant is that at two sites, the victims were Syrian government soldiers, and at another, the victims were regime soldiers and civilians. While the purpose of the investigation was not to establish the culprit in each attack, the report identifies the victims in three out of the five incidents as regime soldiers. This is a tacit UN admission that the rebels possess and have used chemical weapons. Not once were rebel fighters confirmed to be victims of chemical attack. Chemical weapons were “probably used” at five out of seven sites in Syria, UN investigators say in a report. In two cases, the weapons affected [regime] soldiers, and in a third, [regime] soldiers and civilians, the report says. …right now as it stands, these rockets could have never been fired from government controlled territory. They would be fired more from a rebel type of a territory or a border of a contested territory. Tesla’s Richard Lloyd, in collaboration with MIT’s Ted Postol, has created some media buzz with his analysis of the chemical weapons being used in Syria. Richard and Ted held a 2-day seminar in late January at Tesla HQ, that covered several in-depth studies including performance analysis of the Iron Dome system and forensic exploration of various weapons being used in Syria. Of particular note is his and Ted’s performance modeling of the large-capacity Syrian chemical rockets employed this past summer. Their conclusions bring into serious question the launch sites for these attacks claimed by the U.S. State Department. A leading member of a United Nations investigatory commission says there are “strong concrete suspicions but not yet incontrovertible proof” that Syrian rebels have used the nerve agent sarin.